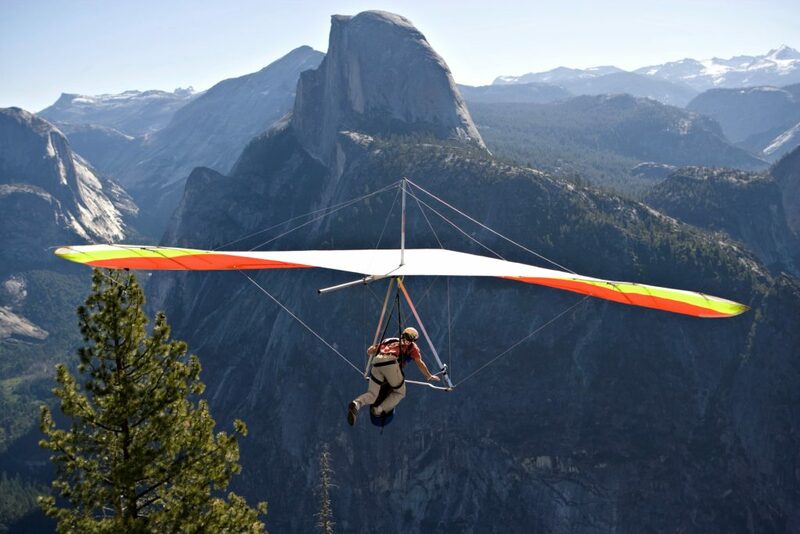 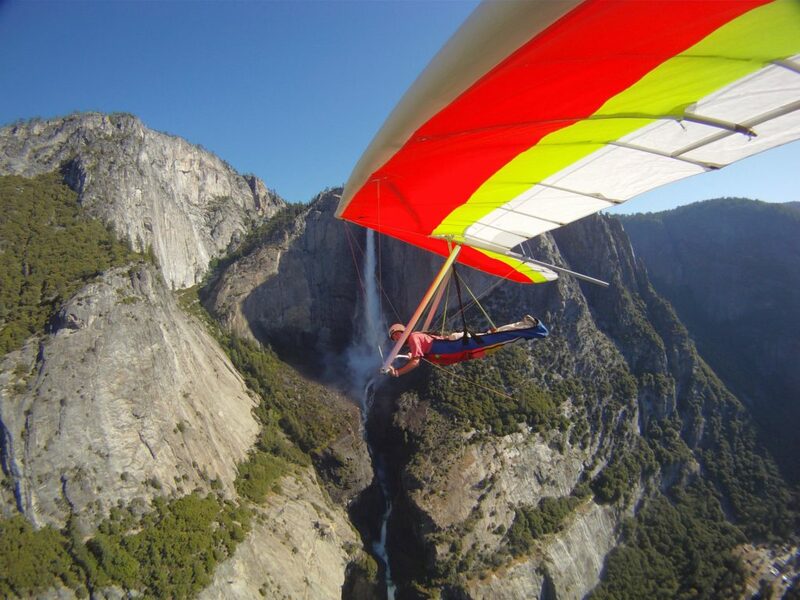 Flying in Yosemite Valley ! 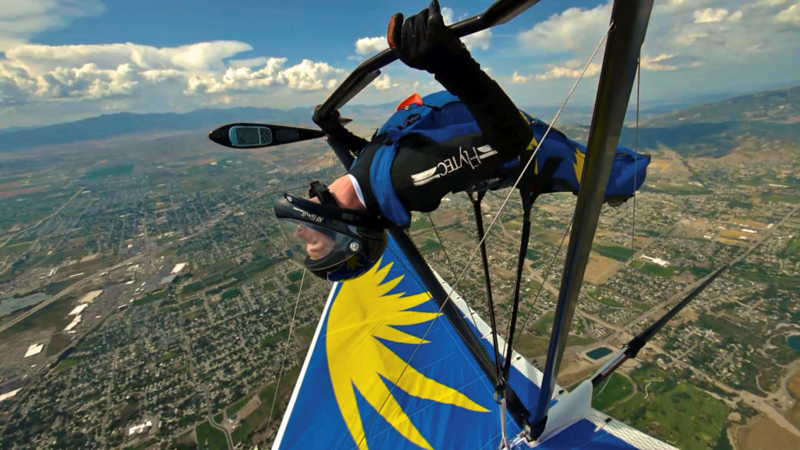 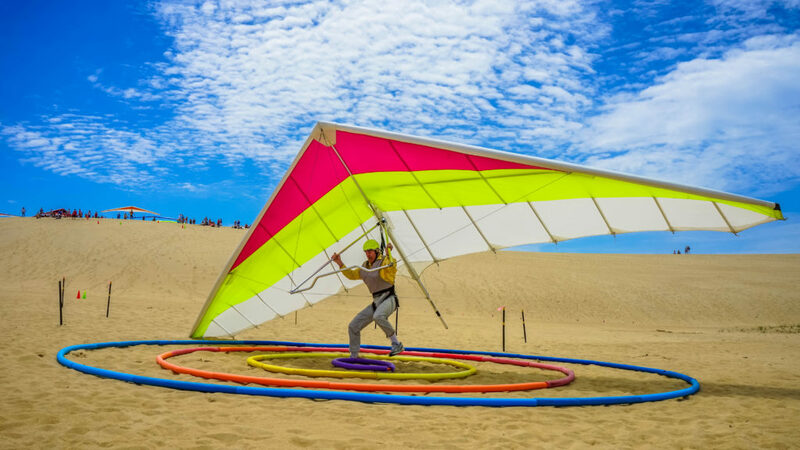 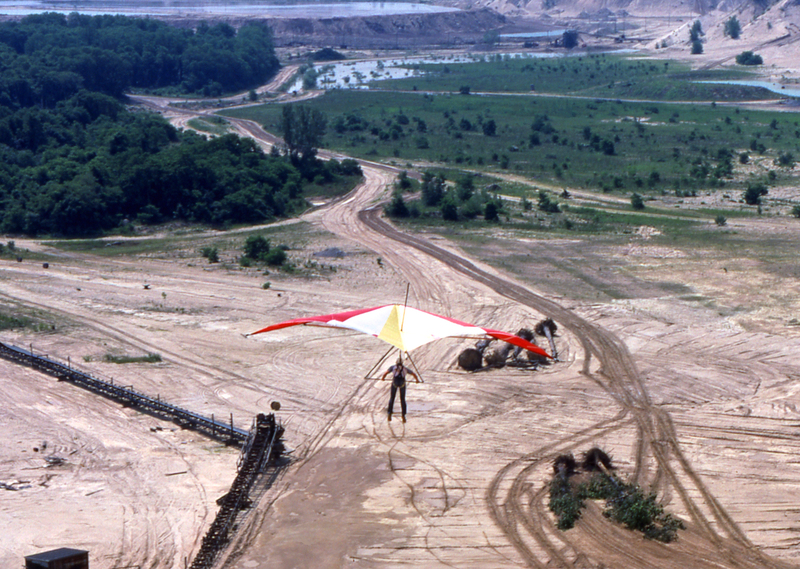 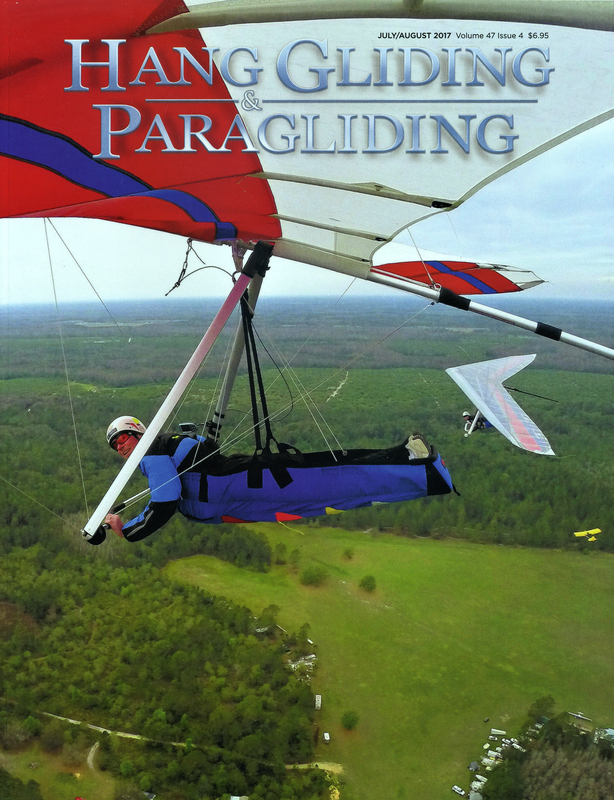 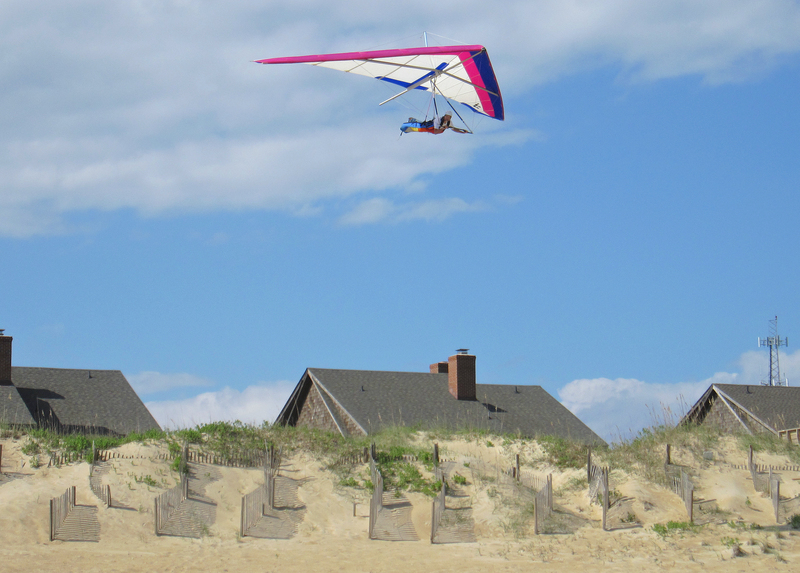 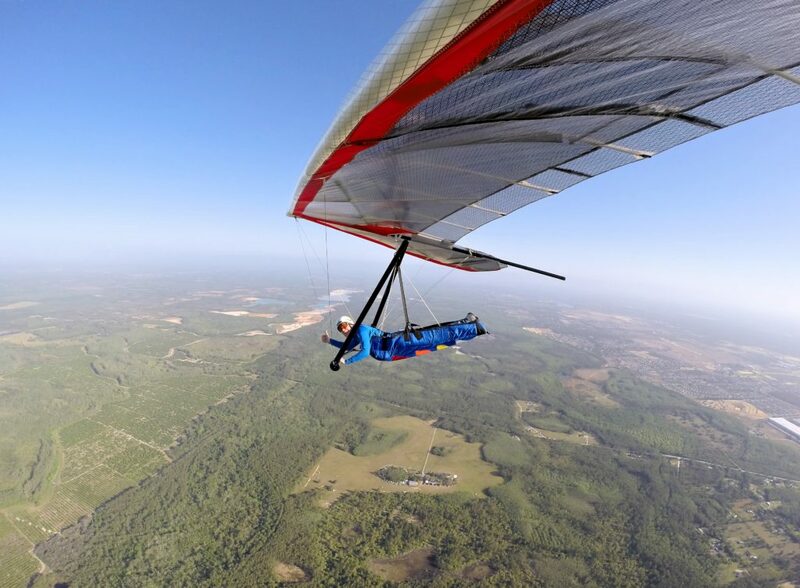 Dune Soaring… Kitty Hawk, N.C.
A Florida flying shot…. 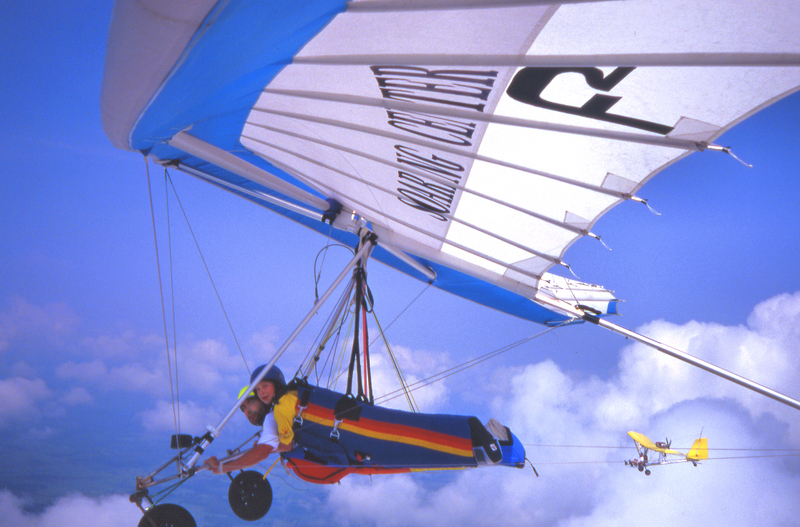 @ Wallaby Ranch, Fl. 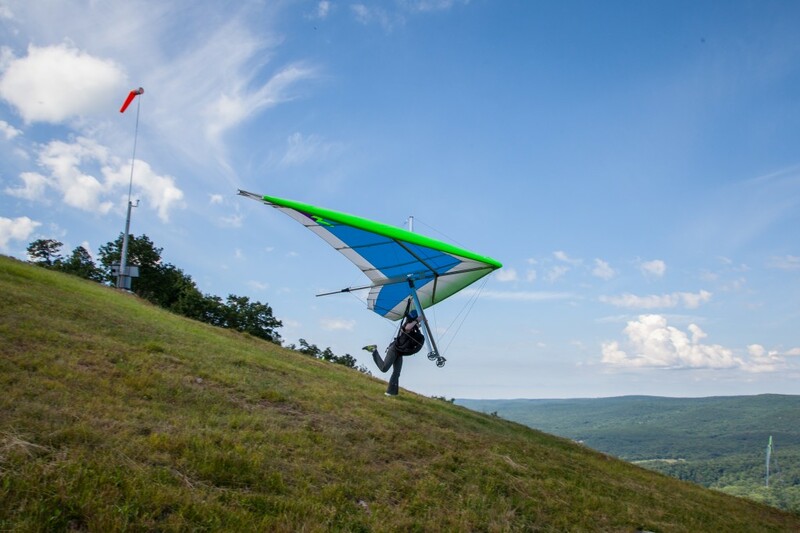 Desiree Voight launching from the top launch at Ellenville Mountain. 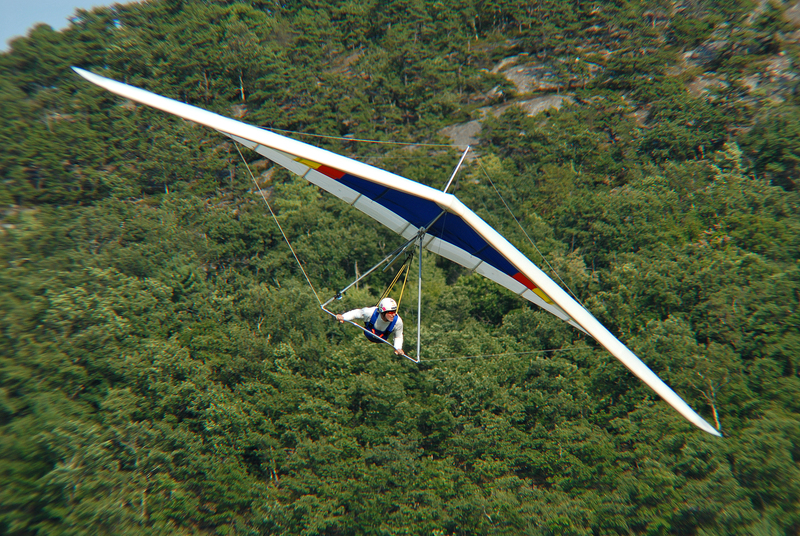 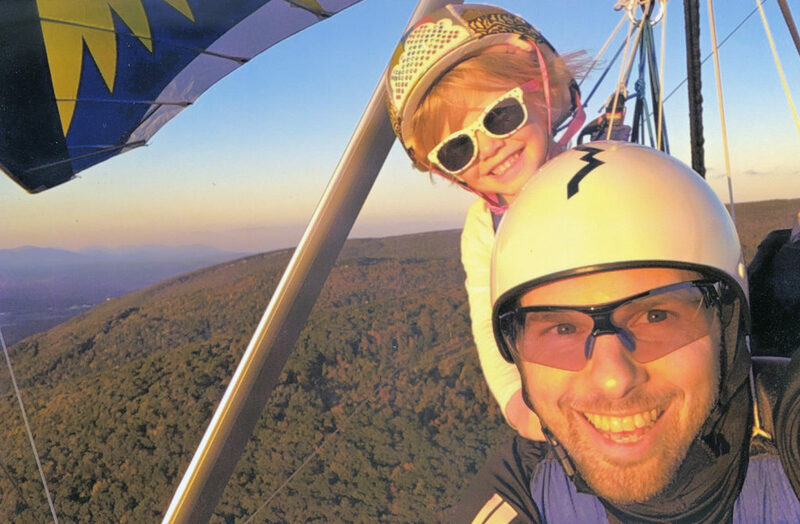 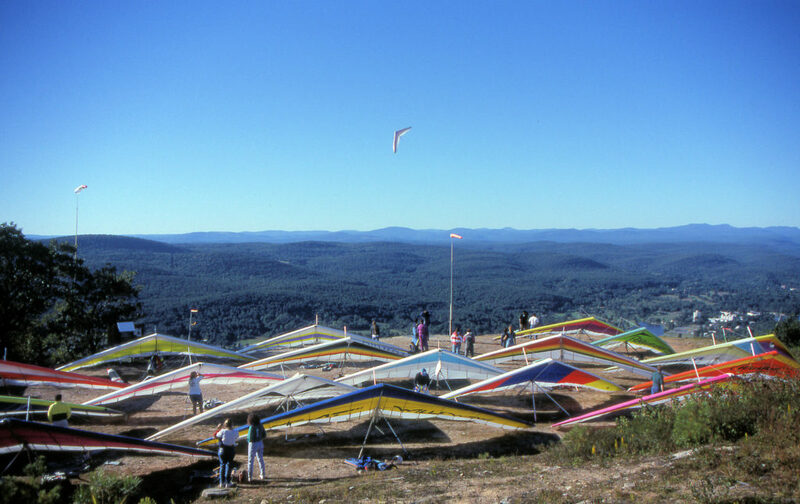 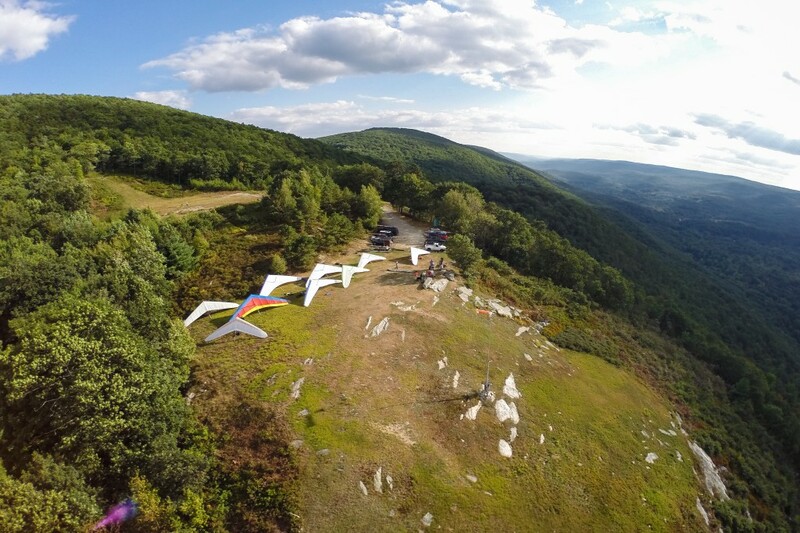 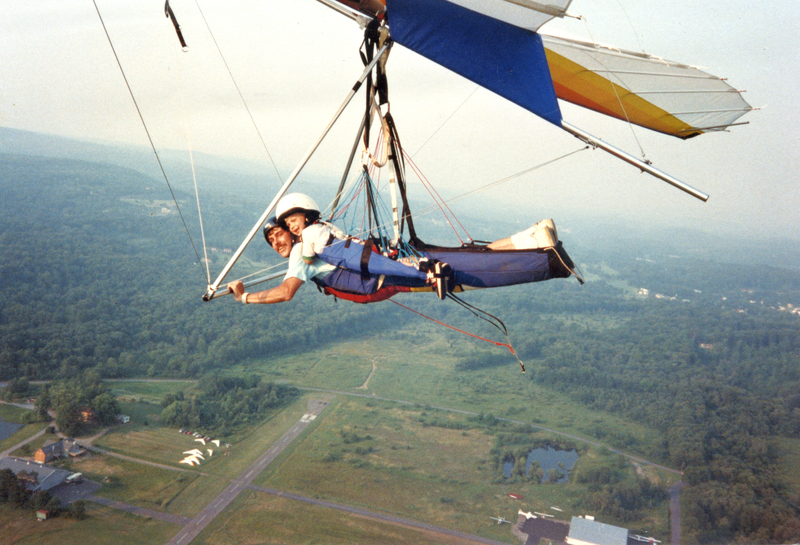 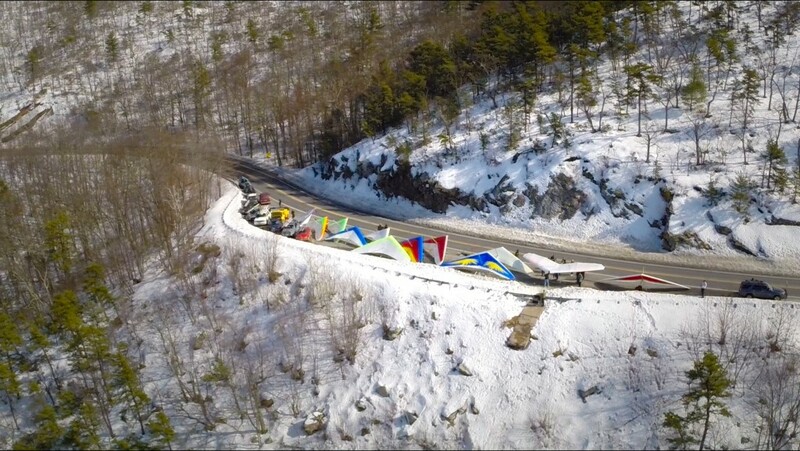 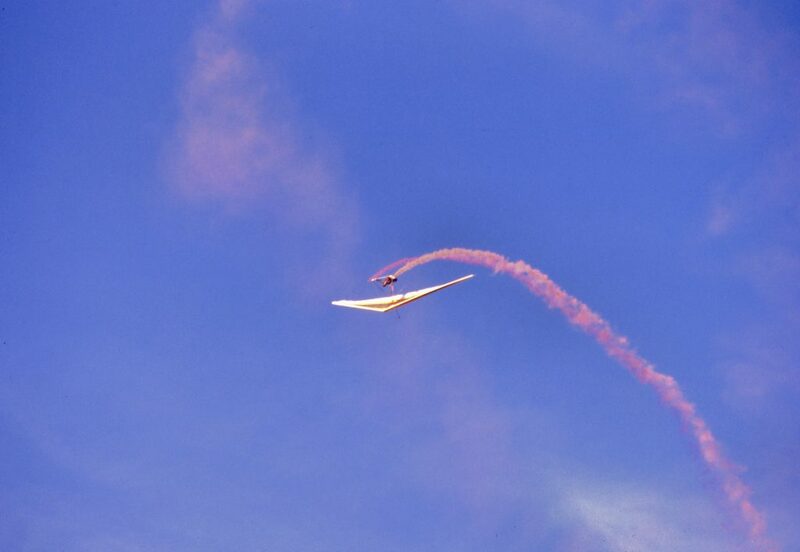 On good flying days the launch at Ellenville is a popular place to be! 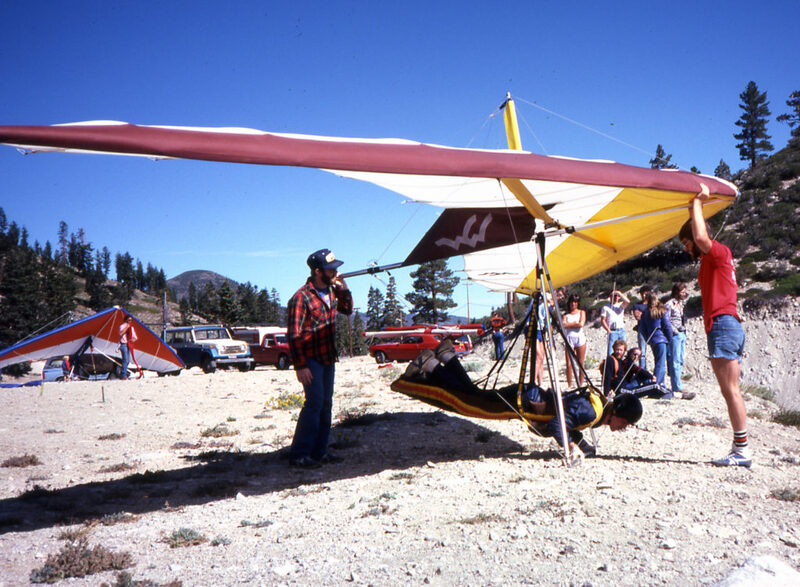 Paul Hang Checks…1981 National Championships, Slide Mountain, NV.